At Guitar World, for Cyber Monday and throughout the Holiday season, we'll be bringing you the best deals on guitar gear of all kinds. Looper pedals have become increasingly prevalent over the years, and now, you can add one to your arsenal at a terrifically low price. Zzounds is offering the Boss RC-1 Loop Station for just $69, $67 off the original list price. 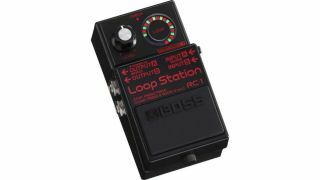 Boss’ cheapest Loop Station, the RC-1 features a straightforward interface with a visual indicator, and offers up to 12 minutes of mono and stereo recording.